As more companies look toward business platforms for competitive advantage, the API marketplace brings the benefits of the platform business model to API management. What’s been overlooked is the benefit of having an internal enterprise API marketplace equally as active and energetic. Like a successful external facing API marketplace generates revenue for the business, an internal marketplace can reduce inefficiencies and increase agility, transparency, reusability and innovation. This talk highlights those key attributes while discussing a path towards building an internal enterprise API marketplace. 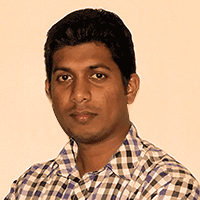 Bhathiya is a Technical Lead and a key member of the WSO2 API Manager team. He has been part of the WSO2 Team for nearly 6 years. Bhathiya mostly works with API Manager R&D team, and from time to time he works with the API Manager support team as well. He has worked with a number of customers on providing solutions and technical consulting specializing in the API management space.